There are many beautiful and amazing art cities in Tuscany; from bigger to smaller ones, from more famous to almost unknown towns. You’ll be spoilt for choices as to what to visit and where to stay. 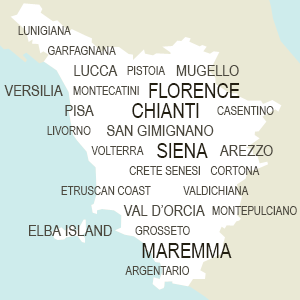 The major and most important Tuscan cities are Florence, Siena, Arezzo, Pisa and Lucca. The smaller hilltop towns and villages of San Gimignano, Volterra, Certaldo, Montalcino, Pienza and many others are all equally beautiful and not less important. Staying in large cities like Florence or Siena is perfect for all art lovers and can be very convenient as a base to explore all other beautiful sights of Tuscany. Indeed major cities are better served with public transport and are near major highways crossing the region. Each single Tuscan city is incredibly rich in art and culture, with an endless quantity of oustanding monuments and museums, especially Florence, the city of art par excellence! Discover Tuscany’s masterpieces of art and attractions choosing among the many different accommodations in the city!